Fellow bloggers, you need to be aware of a common scam aimed right at us. I happened to spot such an email in my spam filter and thought it was important enough to share. 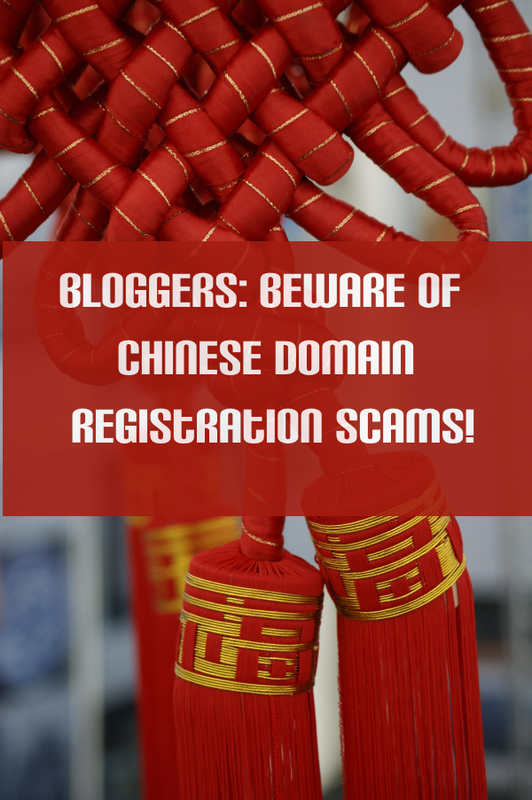 The scammer claims that a company has tried to register domains similar to yours – in my case, variations on LivingWithBeth.com, such as LivingWithBeth.cn. As a “courtesy,” they offer the chance to approve whether this company is an offshore affiliate. Of course, it isn’t, especially since the company mentioned probably doesn’t even exist. 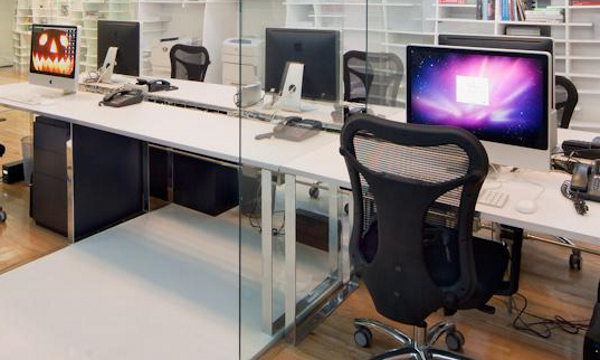 As a blogger, your domain name is your brand. Domain registration scammers prey on the fear that someone might try to steal the brand we’ve worked so hard to build. Criminals have run domain registration scams for over a decade, urging owners of domains to register variations on their domains to supposedly protect their brands. These domain registrations come at a steep yearly cost and often involve minimum commitments of 5 or 10 years. Some (but not all) throw up the big red flag of requiring payment via money transfer, Bitcoin or some other hard-to-trace method, rather than via credit card. Domain registration scams in general started picking up after the Internet Corporation for Assigned Names and Numbers (ICANN) began releasing new top-level domains such as .style and .news. 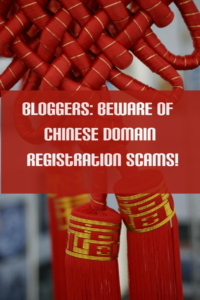 Then, scams involving Chinese domain names accelerated in recent years because the Chinese domain registry made it a whole lot easier to register .CN domains. We received an application from Hualong Ltd on August 3, 2016. They want to register ” livingwithbeth ” as their Internet Keyword and ” livingwithbeth .cn “、” livingwithbeth .com.cn ” 、” livingwithbeth .net.cn “、” livingwithbeth .org.cn ” 、” livingwithbeth .asia ” domain names, they are in China and Asia domain names. But after checking it, we find ” livingwithbeth ” conflicts with your company. In order to deal with this matter better, so we send you email and confirm whether this company is your distributor or business partner in China or not? Even if I hadn’t known about such scams, the email stands out from the beginning, because of “Dear CEO.” Anyone who did a speck of research could easily find out the name of the person who runs LivingWithBeth.com. In addition, there’s no such thing as registering an Internet keyword. You can register a domain. The email implies that someone who owns one of the mentioned domains (such as livingwithbeth.com.cn) would infringe on my brand and steal traffic from my blog, neither of which is true. Anyone is welcome to those domains. Google is certainly smart enough to tell the difference between LivingWithBeth.com and LivingWithBeth.cn or any other similar domain. 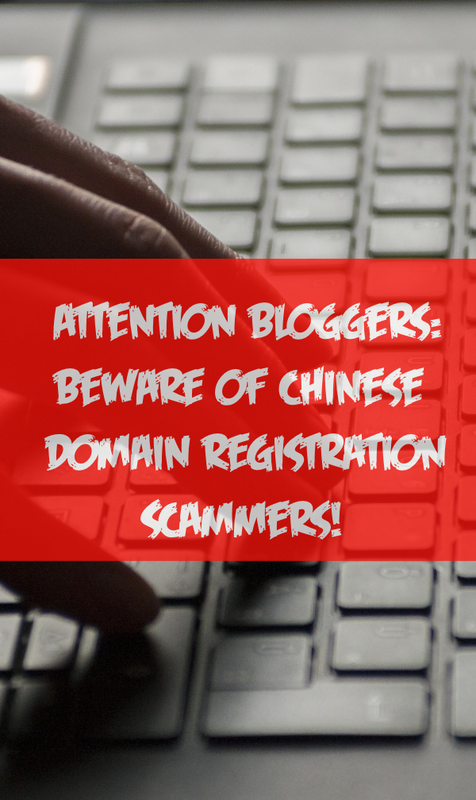 MakeUseOf offers a wonderful and very lengthy description of how Chinese domain registration scams work. Apparently, the same guy who sent the scam message to me has been trying to scam domain owners using the Hualong Ltd company name for more than 3 years, and he’s far from the only one. I won’t go into elaborate detail here about the mechanics of such scams. Just know that they exist and that you should delete any such emails without responding. If they end up in your junk mail folder, that’s where they belong.